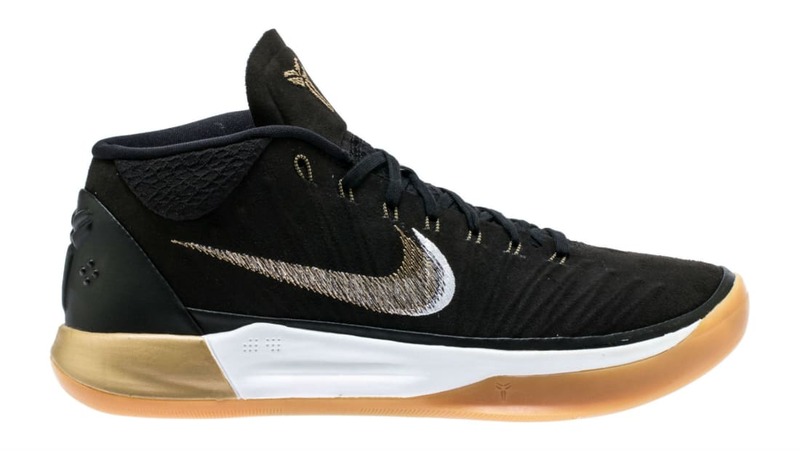 The Nike Kobe A.D. Mid arrives in a championship-flavored black-based colorway, accented by hits of metallic gold and finished off with a gum sole. Release Date is June 1, 2018 at a retail price of $150.